Marbella is a city and municipality in southern Spain. It belongs to the province of Malaga, in Andalusia. 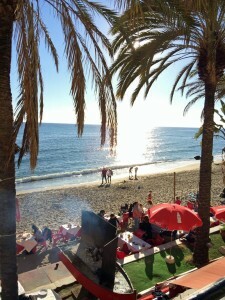 Marbella is at the famous Costa del Sol which is situated on the Mediterranean Sea in southwest Europe. It covers an area of around 117 km2 and a population of around 150 thousand inhabitants. It is one of the most important and popular tourist cities of Andalusia and the Costa del Sol. Traditionally the people of Marbella have been called “Marbelleros” in popular language, and “Marbellenses” in the liturgy; these names have appeared in dictionaries and encyclopedias. However, since the mid-fifties, Marbellan residents have been called “marbellís” or “marbellíes”, the only gentilic, or demonym, that appears in the Diccionario de la Lengua Española (Dictionary of the Spanish Language) published by the Royal Spanish Academy. The use of “marbellí” as a gentilic was popularised by the writer and journalist Victor de la Serna (1896–1958), who wrote a series of documentary articles on “The Navy of Andalucía”; in his research he had come upon the Historia de Málaga y Su Provincia (History of Málaga and the Province) by Francisco Guillén Robles, who used the plural word “marbellíes” to designate the Muslim inhabitants of Marbella. The Marbella municipality occupies a strip of land that extends along 44 km of coastline of the Penibético region, sheltered by the slopes of the coastal mountain range, which includes the Bermeja, Palmitera, Royal, White and Alpujata sub-ranges. Due to the proximity of the mountains to the coast, the city has a large gap between its north and south sides, thus providing views of the sea and mountain vistas from almost every part of the city. The coastline is heavily urbanized; most of the land not built up with golf courses has been developed with small residential areas. Marbella is bordered on the north by the municipalities of Istán and Ojén, on the northwest by Benahavís, on the west by Estepona and on the northeast by Mijas. The Mediterranean Sea lies to the south. Marbella is protected on its northern side by the coastal mountains of the Cordillera Penibética and so enjoys a microclimate with an average annual temperature of 18 °C (64 °F). The highest peaks of the mountains are occasionally covered with snow, which usually melts in a day or two. Average rainfall is 628 l/m², while hours of sunshine average 2900h annually. over 250 days per year. 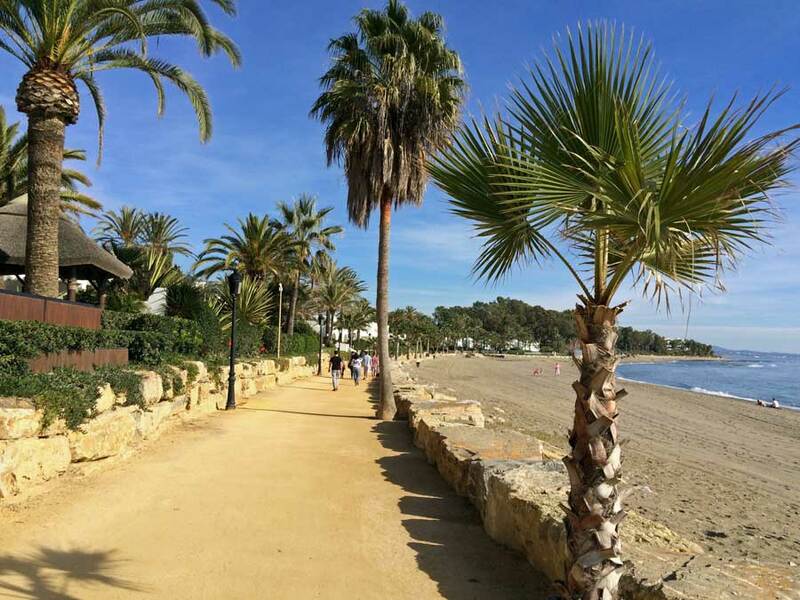 What is known as Marbella’s Golden Mile is actually a stretch of four miles (6.4 km) which begins at the western edge of Marbella city and stretches to Puerto Banús. The area is exclusive and home to some of Marbella’s most luxurious villas and estates with spectacular views of mountain and sea, such as the Palace of King Fahd, as well as some landmark hotels, among them the Melia Don Pepe, the Hotel Marbella Club and the Puente Romano Hotel. The area developed during the tourism boom of the 1960s, where maybe found the ruins of the Roman villa by the Rio Verde, and El Ángel, where the land of the old forge works was converted to an agricultural colony, and the Botanical Gardens of El Ángel with gardens of three different styles, dating from the 8th century. The Golden Mile is divided into two parts by a motorway that runs through it. Along the motorway are strings of business centers, five star hotels, golf course and other services. The beachside of the motorway is fully developed, while the mountainside is still undergoing development. Urbanizations in the area’s sea side are Alhambra del Mar, La Alcazaba, Las Torres, Los Verdiales, Marbellamar, Marina Marbella, Oasis, Rio Verde and Santa Margarita. On the Mountain side of the motorway, the following urbanizations are currently developing: Sierra Blanca, Nagüeles, Cascada de Camoján, Jardines Colgantes, Marbella Hill Club, El Venero, El Batatal, La Capellania, La Virginia, Carolina, El Vicario, Altos de Salamanca, Casas del Señorio de Marbella, Coto Real, Ancon Sierra. The Golden Mile should not be confused with the New Golden Mile which is a marketing name given to the area between San Pedro del Alcantara and Estepona. Nueva Andalucía is an area just west of Marbella and inland from the marina of Puerto Banús. Home to many Golf Courses it is also known as Golf Valley. The bullring by Centro Plaza marks the entrance to Nueva Andalucia where the villas and apartments are based on traditional Andalusian architecture and design. At the heart of San Pedro de Alcántara are two industrial buildings of the 19th century: the Trapiche de Guadaiza and the sugar mill, which now houses the Ingenio Cultural Centre. Two buildings of colonial style, the Parish Church and the Villa of San Luis, residence of the Marqués del Duero, also represent the 19th-century heritage of San Pedro. Next to San Pedro, near the mouth of the river Guadalmina, are some of the most important archaeological sites in Marbella: the early Christian Basílica de Vega del Mar, the vaulted Roman baths of Las Bóvedas (the Domes) and the eponymous watch tower of Torre de Las Bóvedas. The important archaeological site of Cerro Colorado is located near Benahavis; it features a chronologically complex stratigraphy that begins in the 4th century BC within a Mastieno (ancient Iberian ethnicity of the Tartessian confederation) area, then a town identified as Punic, and finally a Roman settlement. A series of domestic structures built behind the city walls, and corresponding to these different stages of occupation recorded in the archaeological sequence of the site, characterize the settlement as being fortified. A hoard of three pots filled with silver coins of mostly Hispano-Carthaginian origin, and numerous pieces of precious metalwork, along with clippings and silver ingots, all dating from the 3rd century BC, were found here. In the eastern part of the municipality in the district of Las Chapas is the site of Rio Real, situated on a promontory near the mouth of the river of the same name. Here traces of Phoenician habitation dating to the early 7th century BC were discovered in excavations made during an archaeological expedition led by Pedro Sánchez in 1998. Bronze Age utensils including plates, craniate bowls, lamps and other ceramics of Phoenician and indigenous Iberian types have been found, as well as a few Greek examples. There are two ancient watchtowers, the Torre Río Real (Royal River Tower) and the Torre Ladrones (Tower of Thieves). Among the notable tourist attractions is the residential complex Ciudad Residencial Tiempo Libre (Residential Leisure City), an architectural ensemble of the Modernist movement, which has been a registered property of Bien de Interés Cultural (Heritage of Cultural Interest) since 2006. Besides the typical Andalusian cultural events, a variety of annual festivals are held in Marbella, mainly between June and October; other events are held sporadically. Festivals dedicated to music include the Marbella International Opera Festival held in August since 2001, the Marbella Reggae Festival in July, and the Marbella International Film Festival in June at different locations around the city—amongst them the beach, aboard a boat or in Old Town. It also hosts the Marbella International Film Festival, the Spanish Film Festival and the Festival of Independent Theatre. To provide venues for these and other events, the city has cultural facilities both publicly and privately managed, such as the Auditorium of Constitution Park, the Ingenio Cultural Centre, the Teatro Ciudad de Marbella or Black Box Theatre, among others. In addition, there is a music conservatory, a cinema club, and several movie theatres showing foreign films dubbed into Castilian. The International Contemporary Art Fair, also known as MARB ART, was held in Marbella in 2005, exhibiting works of photography, painting, sculpture and graphic design by over 500 artists; it has been held annually since at the Palace of Congresses. The following year the 2006 extension of the Ateneo de Málaga Marbella (Atheneum of Málaga Marbella) opened, dedicated to the development of artistic and cultural activities. 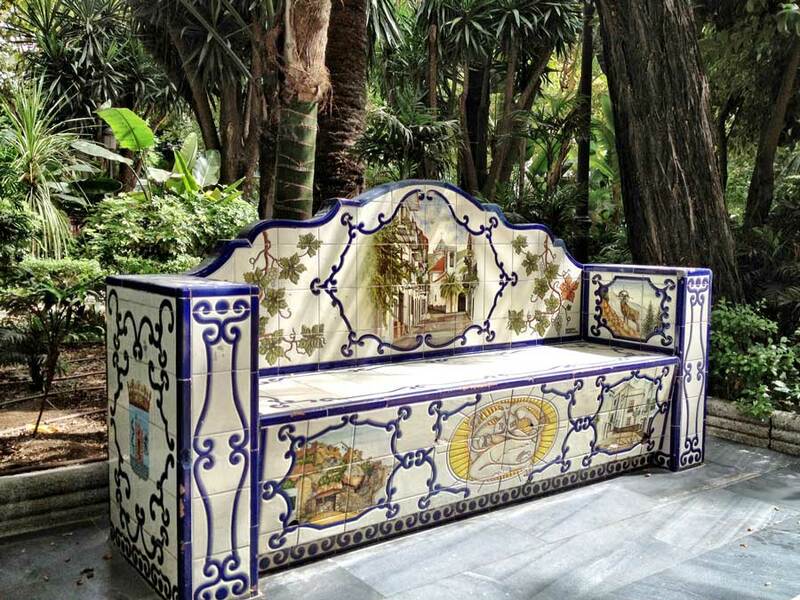 Amongst local cultural associations is the Cilniana Association, an organization dedicated to protecting and promoting the heritage of Marbella and neighboring towns, which publishes its own magazine. Since 2009 the city has been home to Marbella University, the first private university in the province of Málaga. In 2013, the city welcomed the opening of Marbella International University Centre (MIUC), an international higher-education institution focused on Business, Politics and Media, and the only university in Andalusia where courses are taught in both English and Spanish. Contemporary Spanish Engraving Museum: created in 1992, contains a collection of prints by twentieth-century artists such as Picasso, Miró, Dalí, Tàpies, Chillida and the El Paso Group (Rafael Canogar, Manolo Millares, Antonio Saura, Pablo Serrano, et al.) amongst others, as well as an exhibition hall dedicated to teaching engraving techniques. Museum Cortijo de Miraflores: in addition to the museum, the farm houses an exhibition hall and other cultural classrooms, amongst them the olive oil mill. Bonsai Museum: opened in 1992, it has a collection of specimens on permanent display and others for sale, with an emphasis on its extensive collection of olive trees and examples of species such as Ginkgo, Oxicedro, Pentafila Pino, and zelcoba, also pines, oaks, and other species. Ralli Museum, dedicated primarily to art in Latin America, it has sculptures by Dalí and Aristide Maillol and paintings by Dalí, Miró, Chagall, Henry Moore, amongst others. Municipal Archaeological Collection: its collection consists of archaeological artifacts found in the municipality. Mechanical Art Museum: a cultural center located in the 19th-century Barriada del Ingenio, it contains sculptures made from second-hand car parts by Antonio Alonso. The traditional cuisine of Marbella is that of the Malagueño coast and is based on seafood. The most typical dish is fried fish, using anchovies, mackerel, mullet or squid, amongst others. Gazpacho and garlic soup are very typical. Bakeries sell oil cakes, wine donuts, borrachuelos (aniseed rolls fried with a little wine and dipped into syrup), torrijas (similar to French toast) and churros (fritters). 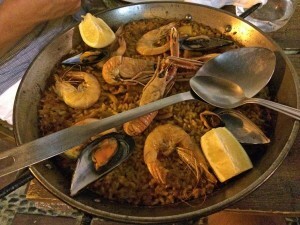 In addition to the traditional native cuisine, there are many restaurants in Marbella that serve food of the international, nouvelle, or fusion cuisines. In June, the Fair and Fiesta of San Bernabe is celebrated to honor the patron saint of Marbella. For a week there are various activities and performances which are divided into two parts: Fair Day, which began in Old Town and is now held in the Avenida del Doctor Maíz Viñals, and Fair Night, which takes place in Arroyo Primero. In October the fair and festivals in honor of the patron saint of San Pedro Alcantara are celebrated, which also last a full week. The smaller Fair and Festivals of Nueva Andalucía celebrated in early October in Las Chapas and El Ángel are also popular. Throughout the summer season (July to October) most barrios of Marbella have events organized by neighborhood associations to encourage cultural activities including: bullfights, musical performances, photo competitions and sporting events. Among the best-known associations are those of Santa Marta, Salto del Agua, Leganitos, Divina Pastora, Trapiche, Plaza de Toros and Miraflores. Other festivals and local celebrations include the Pilgrimages of Cruz de Juanar (May), La Virgen del Carmen (July), and La Virgen Madre (August), as well as the Día del Tostón (November), a traditional celebration that consists of going to the fields to roast chestnuts.